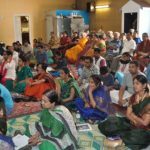 Categories: Bhagavatam Lectures, Srimad Bhagavatam. 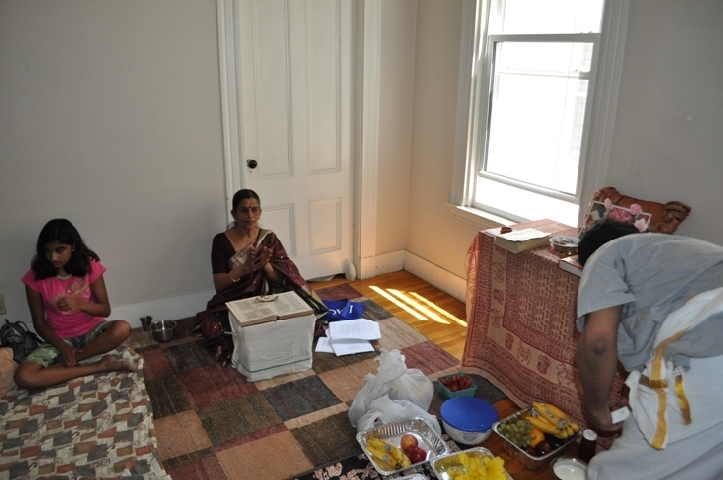 Mrs. Mangalam Ramaswamy, an expert in Srimad Bhagavatam, had visited Boston area. 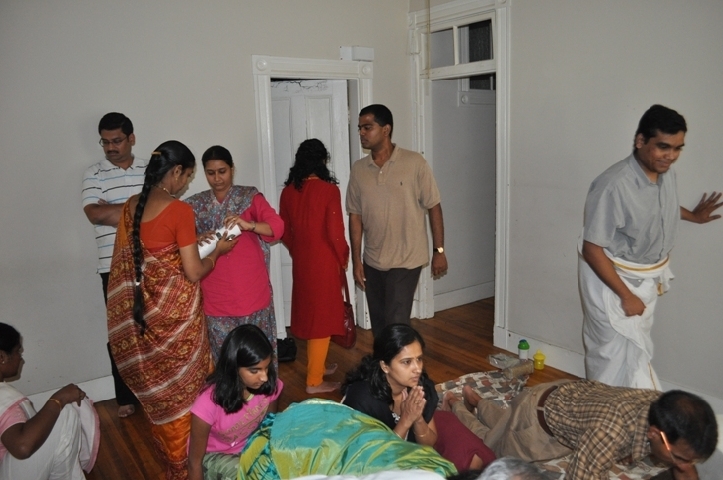 By Lord Sri Krishna’s and Sri Swamiji’s grace, a Bhagavatam satsang was arranged by New-England GOD satsang with her. 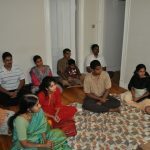 The satsang started with the Mahamantra Chanting for about 30 min. 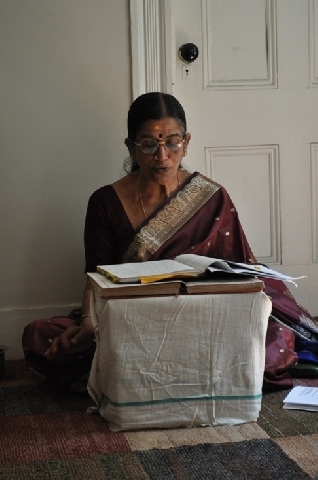 Following this, after the recitation of the Bhagavata Dhyana Slokas by everyone, Mrs. Mangalam Ramaswamy led the parayan of the following portions from Srimad Bhagavatam. 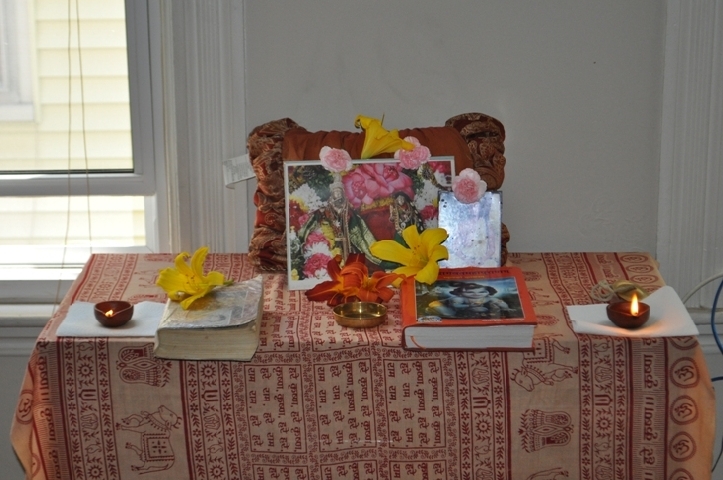 All the 20 devotees were given the ‘Bhagavatam Sloka Sangraha’ that contained all the Stutis in Sanskrit and English. The hall reverberated with the stutis, which all the devotees enthusiastically recited and followed. 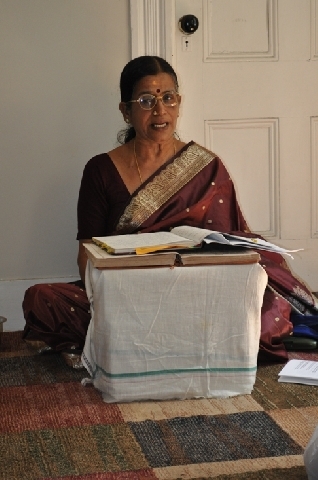 Following this, Smt Mangalam Ramaswamy gave a discourse. “Mind has a tendency to grasp things that are most beautiful and if we gave the thought of Lord Guruvayurappan to the mind, it would always dwell on Him because there is nothing in any of the worlds that is more beautiful, interesting and sweeter than Him.” Narrating the beautiful form of Lord Guruvayurappan, she mentioned that Srimad Bhagavatam verily the form of Him. 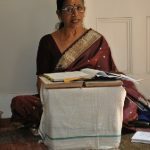 She also gave an interesting narration of Ajamila charitram highlighting the importance of Nama and Namakirtan in Kali Yuga. 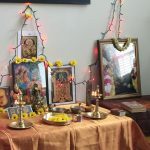 Many were close to tears listening to the wonderful exposition of the ‘Nama Vaibhava’ from Mrs. Mangalam.Towards the end, she said, that there could not have been a better way to have spent the morning of Dwadasi. Mahamantra kirtan, Srimad Bhagavata Parayan, the thought of Lord Guruvayurappan and Ajamila Charitra, which is Sri Sri Swamijis favorite example to highlight the importance of Namakirtan. 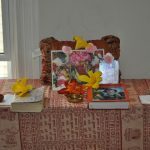 Eventually, she recounted the ‘anugraha’ of our Guru Maharaj His Holiness Maharanyam Sri Sri Muralidhara Swamiji and claimed that it was out of His sheer grace that, having come on a personal visit, she has been performing so many satsangs in the United States. She also reminisced the numerous ‘Shatakrutus’ (Bhagavata Saptaha parayana with 108 gopikas) that she was blessed to lead, thanks to Sri Sri Swamiji’s blessing and encouragement. The Satsang concluded with Sri Sri Swamijis kirtan Kaliyayum bali kollum and harati. 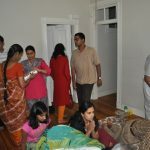 Prasad was distributed to the devotees. 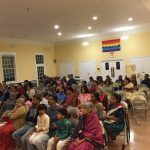 26 Responses to "Srimad Bhagavatam Satsang – New England"
Iam from chennai, India…. 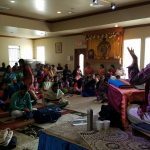 I was browsing for Rudra geetham… Suddenly saw this article…So happy….that all important slokas of Bagavad geetha were recited by the Satsang.. It is Srimad Bhagavatam. We will send you the slokas to your email. Can You please send me rudra geetam or from where it can be obtained to my email address.Jai SreeKrishna. Hope this helps. Best regards! 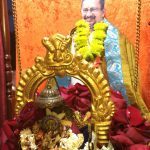 Could you please publish RudraGeetham in the website for bhakta’s to learn and recite. 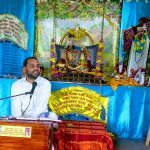 I would be only selfish if I’d ask to be send to my email, let all devotees of that parama pursa Sri Krishna, read, recite and benefit and hence the request for publication at this site. I was going through the net for ‘Rudra Geetam’, and in vain. I would be grateful if you could send me the hymn. me to get rudra geetham in mp3 aswellas pdf in Malayalam please. Very happy see such activites taken place…I am a Guruvaurappan devotee. Namasthe, If possible, Could you please send me also all the slokas listed above ? Or else, atleast the Rudra Geetham? Namaste. Pl mail if possible “Rudra Geetam”’ to my email. Can you please send me the sanskrit pdf of the stutis to my email. 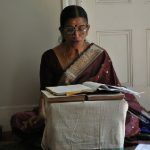 Very much pleased to note that Smt Mangalam Ramaswamy, from my place is really blessed to perform a lot of satsangs on Srimad Bhagavatam in usa.I cherish that my initiation to Bhagavatam was done by her.